Cant reccommed these enough!! Will 100% be using again. Hired the minions bouncy castle for a family party & what a hit it was. kids loved it. So clean very professional & friendly service all in all 10 out of 10. Thanks again! 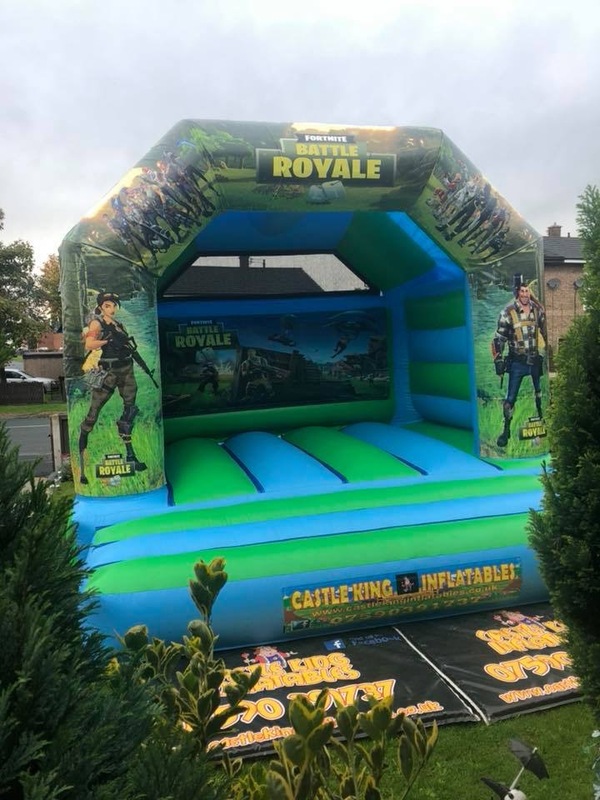 our fortnite theme is so popular we have added a second to our fleet of inflatables. This one is 12ft x 12ft in size which is slightly smaller in width than our other so is perfect for the smaller of gardens. It’s green and blue in colour and comes complete with a built in raincover.